A specialist in enabling individual and organisational change, David asks tough questions that allow people to evaluate options with regard to the challenges they face in their work and build the confidence to deliver on their goals. David began his working life overseas teaching Physical Education in International Schools. A period in the health and leisure business in Hong Kong, taught him about the demands of leadership in a radically different culture and results driven environment. Back in the UK, David became Operations Director for a health and leisure club start-up. Over five years the business was created, developed and sold with 6 operating Clubs and over 300 staff. Over the last eight years he has worked on worldwide projects for both large and small organisations, such as: Texas Instruments, Rolls-Royce, Applied Biosystems, Orange, M&S, Cybex International, Nautilus, CPP, Experian. 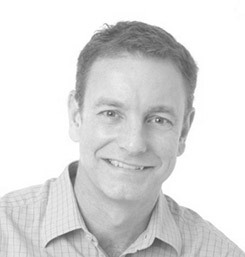 David has a Masters in Coaching and Mentoring Practice, is an accredited Master Facilitator of The Leadership Challenge Workshop and is a Member of the Association for Coaching. He is a published author, co-writing Leader iD with colleague Dr Glenn Wallis. David is a sports fanatic, although these days a young family and a dodgy back restrict participation to running and triathlon events and the occasional game of golf!